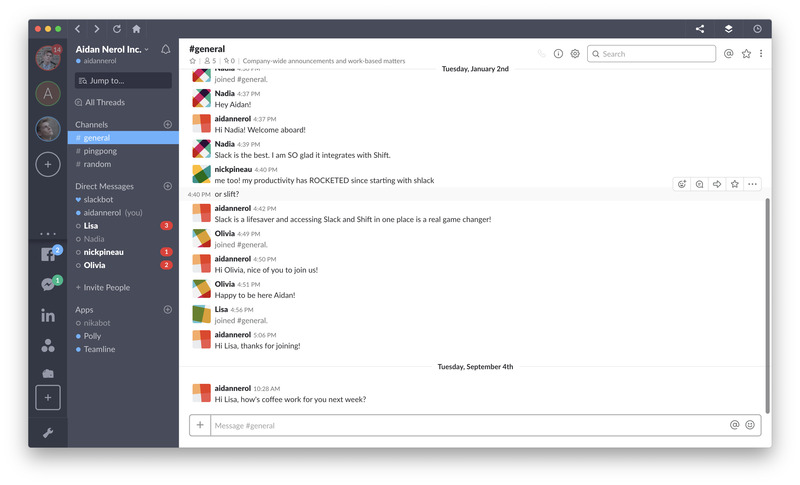 Slack might be the only platform out there that’s as easy to master as you’d expect it to be. The only real task is getting the whole team on board with it; However, even that’s not hard once your team sees how you can easily manage Slack in Shift. It’s so lightweight and useful that even a baby boomer could get down with it. 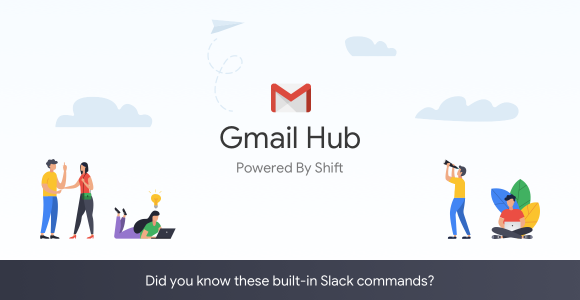 Here are a few of the handiest built-in Slack commands we use at Shift every day—guaranteed to make your team’s job a heck of a lot easier. Instead of actively searching for a member of your team to private message, simply type /dm (or /msg) and type your private message to them. We promise nobody else will see it. Forgetful? With the /remind command you can remind @someone or your #channel about [What] is happening [When]. If you’d like to learn more about reminders, simply use the command /remind help. Then, if you want to see a list of all of your set reminders, type /remind list. Invite @someone to your [#channel] without ever having to leave the text box. GIFs and memes are super funny when there’s a thread, but sometimes they’re not worth revisiting. WIth /collapse, you can collapse all of the inline images and videos in the channel you’re in. Note: You can also type /expand to undo it. Remember away messages on AIM? The /away command is sort of like this. You can even set up custom status messages to let your team know what you’re up to. Once you’re back from being away, type /active and your team will know you’re back with them. As opposed to the situations where dnd = Dungeons & Dragons, on Slack it means Do Not Disturb. Typing /dnd will kickstart and/or end your Do Not Disturb sesh! There’s no need to navigate away if you don’t have to. /open [#channel] will do exactly what it says. Open your preferences easily=peasily with a simple /prefs – the less time typing, the better! This will open up the keyboard shortcuts menu, showing you the ins and the outs of everything Slack has to offer. Type /shrug followed by your message to add ¯\_(ツ)_/¯ to the end of your message. Surely we’re not alone in being tired of Googling how to do that. Note: Why stick to what’s there? You can also make your own custom slash commands. Also, in case you didn’t know, you can use Slack way more efficiently with Shift!